I am pretty much a simpleton when it comes to my hair. My hair is very thin and very fine. It breaks easily and grows slowly. I don’t use a lot of products on my hair other than shampoo and conditioner with a very rare spritz of hair spray on special occasions. So I was mortified and perplexed when MAJOR product buildup attacked my hair and particularly the crown of my head. No matter what shampoo I used my hair looked greasy and lifeless and just plain gross. I recently started working out several times a week (translated to I now sweat copious amounts several times a week) and I think it is the main cause for the hair change. My typical entourage of shampoos and conditioners weren’t able to cut through the buildup that had accumulated, and I needed help! 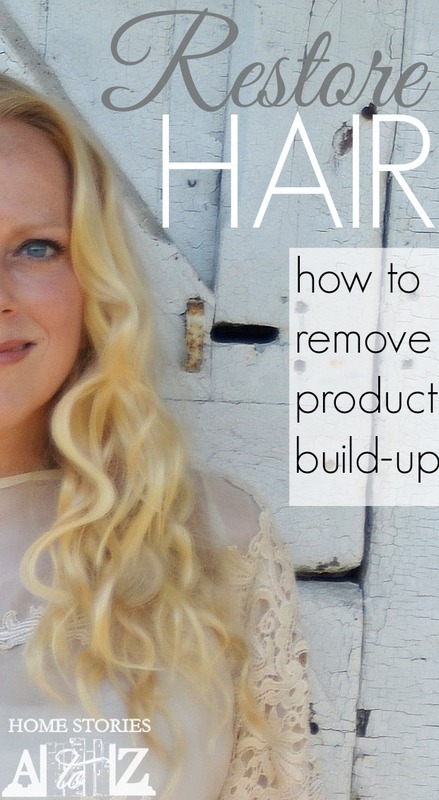 I tried three things I had at home to remove the buildup and only one worked. Let’s find out which one! There are a TON of beauty sites and beauty bloggers who write about their strict “no poo” hair regimens (translated “no shampoo” for those of you who immediately were thinking ‘Say wha???’). I’m not ready to give up my shampoo just yet, but many no poo enthusiasts swear by the egg wash method. Using an egg to clean your hair is very simple. 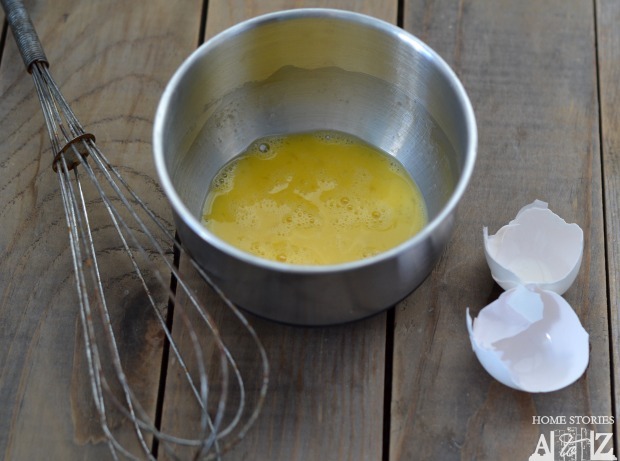 Just mix up an egg with a bit of water and massage into your scalp and hair. I allowed the egg to sit in my hair for a few minutes before rinsing. The results? I still had product buildup at the top of my scalp, but my hair did look shiny and relatively clean. However my hair smelled like egg. Gross. Not exactly what I want my signature scent to be. I am a firm believer in the power of vinegar! I started using white vinegar a few years ago to clean my granite, stainless steel and even soap scum and have come to love it’s wondrous cleaning abilities. I use apple cider vinegar at the first signs of stomach flu in our family. It’s hard to take a shot of the stuff, but if you can gulp some down it does wonders at warding off any stomach bugs. So I figured it would definitely be the solution I was looking for to solve my gunky hair problem. I poured about a cup of apple cider vinegar into a glass and carefully massaged it into my scalp and hair. The fumes about knocked me over and it immediately irritated my skin. The experience wasn’t a pleasant one, so I did my best to scrub it into my hair and rinse it out. Some no-poo enthusiasts recommend using baking soda paste first followed by the vinegar. Since I really didn’t want to conduct a 5th grade science experiment on my head I opted to leave out the baking soda, but I’m sure this would be effective in stripping the dickens out of your hair since it does wonders at unclogging my kitchen sink! 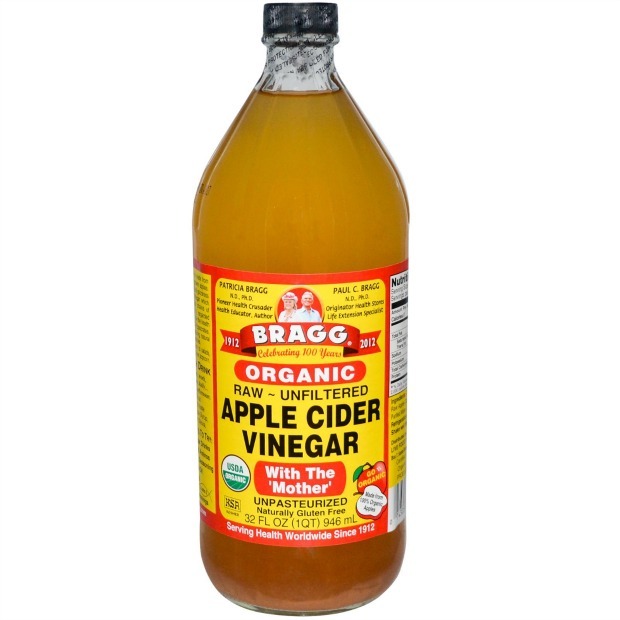 I was not impressed with the results of using apple cider vinegar, but some people swear by it. My scalp was really irritated from the vinegar, my hair stunk despite rinsing it very, very well, and my buildup remained. I have never put hand soap in my hair and normally wouldn’t recommend doing so. However, most clarifiying shampoos are made of higher concentrations of sodium lauryl sulfate or sodium laureth sulfate. (Note that some people are very against using any sulfates in their hair because of research suggesting it’s a carcinogen and may lead to cancer over time. Most shampoos contain sufates.) I had Method Sweet Water hand soap by my sink and figured it was worth a try. I used it just like a shampoo and it worked like a charm! 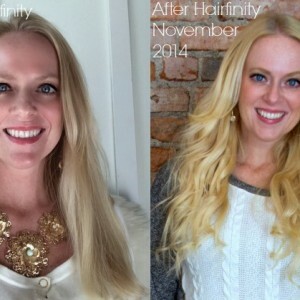 It completely removed the buildup at the crown of my head and left my hair bouncy, clean, and shiny. I’m back to using my typical shampoos and conditioners without any problems. So if you don’t feel like purchasing an entire bottle of clarifying shampoo, Method Sweet Water might be the quick fix you are looking for! How about you? Do you have any product buildup removal methods to share? Have you tried any of these methods with success? I’d love to hear what has worked for you! Ok, so miss skeptic here I never thought and to honest I was a little scared to put baking soda on my hair I color my hair and thought it would strip the color out but, I had a lot or hairspray build up so bad you could see it, it looked like dandruff I just about died I tried beauty store remedies nothing worked so I search the Internet re “Getting rid of hairspray build up” I found lots of remedies but the most I found was baking soda so today I tried it I got in the shower wet my hair used about 1/4cup of baking soda worked in all of my hair let it sit while I finished showering then I rinsed it out shampooed and used a conditioner as usual, after it dried I was so surprised no more yes no more built up hair spray gone, didn’t hurt the color it made it so shiny and so soft this a keeper I swear by it. Thanks so much for sharing what has worked for you! Insanely fine, knotty, curly hair. Use Deva Curl, coconut oil, mayonnaise, glycerin, vinegar, lavender oil. The vinegar must be diluted!! I use maybe a quarter cup with 2-3 cups of water. Then slowly pour after shampooing but before conditioning. It’s a natural softener so your hair will not only be extra clean but also conditioned. However if you have a sensitive nose or are sensitive to vinegar you will smell it even after it dries and next time you wet your hairs. It’s faint but can bother some people. I’m allergic to everything so dish soap is one method I cannot try- I have yet to find one that doesn’t cause a rash. baking soda has worked for me but requires a lot of extra attention to retain moisture. I’m nearly 60 years old and have very long hair. I don’t color it, so I have many different color shades, including brown, a surprising amount of red, gray, silver & white. As mentioned by another of your readers, I use blue Dawn about once every two weeks to remove any build up. It works wonderfully well, leaving my hair streaky clean & shiny. I wash my hair every third day. My hair always looks good, and its much healthier – most people wash their hair way too much & it damages it. Another thing I do is take vitamins – we Americans don’t eat as balanced a diet as we should and our hair reflects that. I take a general senior vitamin, extra vitamins C, D, COQ10, biotin, magnesium and folic acid. Not only has the condition of my hair improved, but so have my nails, my skin and my ability to fight off illness. With the vinegar, you’re not supposed to use it straight and undiluted. It’s only a couple tablespoons per eight ounces of water. Using straight vinegar will dry out your hair, and you learned, burn the skin. Diluted, you can still smell it, but not once you dry your hair. I use it daily, and my hair went from frizzy and wavy to soft curls with volume. I’ve used beer on my hair before when the buildup has been on the lighter side. One can of beer before a shower, when hair is still dry, has worked best. Use the beer bit by bit to massage into scalp and the bad parts of the hair (for me it’s the crown) before rinsing hair. After using the beer massage and rinsing, shower as usual with shampoo and conditioner. I have found that some shampoos and conditiners have caused the buildup more frequently than others. A cheap brand I reccomend has been suave. I haven’t had a problem with it unlike I have with head and shoulders, Pantene, or other ‘fancy’ products. I have also used mane and tail horse products without problems as well. I’ve not heard of sulfates causing cancer, but I do know that sulfates strip your hair (which I guess is good for build up too) of its natural oils and fades your dye job faster. I have not used sulfates on my hair for going on 5 years and I haven’t had split ends since. I did move to a rural area about two years ago, though, and we live on well water (HARD) water. Whew! The build up is crazy!! I’m definitely going to try the baking soda trick. May even try AC vinegar. Definitely won’t be doing a cup after your experience though. So thanks for sharing that! I’ve been trying to buy baking soda but can’t seem to find it I can see baking powder,bicarb.of soda but not baking soda can you help.my hair is very fine and bleached. Hope you can help . Baking soda and bicarbonate of soda are different names for the same thing. We call it baking soda in the U.S.
Having trawled the Internet for ideas to get this buildup of hairspray out of my hair, I finally hit the jackpot visiting this site – and many thanks to Beth who came up with this fabulous idea. I didn’t want to try baking soda nor vinegar or egg, so I went to my nearest Waitrose and found this Sweet Water hand soap, I scrubbed my hair with it and only found a very slight dryness whilst washing, topped off with a blob of conditioner and combed through gently. I dried my hair on the coolest setting and BAM! Genius this hand soap actually worked!! I have got to be the most faddy of people and I try anything once, but this time I can truly say try it if you have buildup of hairspray on your hair, it now feels softer and shiney. Great tip! Thanks for chiming in Stephanie. If it works on those oil covered penguins and sea birds, I’m sure it would work wonders on a little product build-up. I’ll try it. I like all your ideas and I too have tried the first two and had the same general experience. I will have to try the soap method. I wonder if it is similar to using that $5 bottle of Neutrogena that strips your hair? It’s harsh but it’s cheap and it works. Never to be used more than once a week. For some time now, I have been on the no-poo shampoo bandwagon. I have been using Deva Care for curly hair. I also used the Deva Care conditioner. I really love the Deva Curl products. They are completely sulfate, paraben and silicon free, and are good for your hair even if you don’t have curly hair. I have definitely noticed a difference in my hair since I started using them probably about a year ago. (I will be honest and admit that at first I wasn’t overly excited about it. You just have to get past the lack of suds, and rinse well. But once you do, you won’t ever want to go back!) However, after reading about an apple cider vinegar rinse, I decided to give it a try. I put it in a squirt bottle and keep it in the shower. I only squirt it on the ends, then pile the ends up on top of my head. I have never had any problem with it burning my scalp. But I don’t use anywhere near a cup of vinegar. I don’t really measure it out… I just squirt. I can immediately feel it soften my hair. Since I started using the no-poo, I don’t really get product build-up. I also find I actually need less styling products. I really only use a smidge of coconut oil in the ends of the hair before I blow dry it. After I style my hair, I use a little bit of hair spray. WAY less product than I used to have to use, and it looks much healthier and shinier. Just thought I’d share my experiences. Great tips! Thanks for chiming in :). Beth, I have the exact.same.hair and the exact.same.problem with buildup. I blame it on the minerals in our tap water since I didn’t have too much of a problem until we moved … Any-hoo I try to switch shampoos often to help with the buildup (with limited success). I also try to be careful about how much conditioner I apply near my scalp. 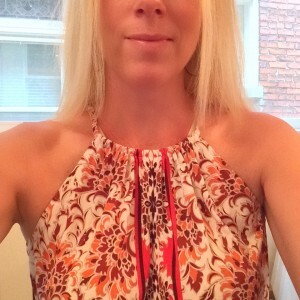 I did recently try a new clarifying shampoo by Pantene (http://www.pantene.com/en-US/hair-care-products/product/Clarifying-Shampoo.aspx?UPC=080878172443) and it has worked better than anything else I’ve tried EVER. Thanks for the information. I was wondering if hard water had something to do with it! But we’ve lived her for 6 years and I’ve never had a problem before. It’s so weird. The Method soap worked like a charm though and I’m keeping my fingers crossed that it doesn’t happen again. It was gross. LOL! I have really fine, thin hair as well. But I have you beat in how thin and fine! Mine would never grow long and gorgeous like yours, so I have to keep mine short and edgy. I use a root lifter and a good deal of hair spray so I get build up quickly. My go to solution that works like a charm every time, just plain Baking Soda. I get my hair completely wet and rub in about 1/4 cup of baking soda all over my head. I rinse this as well as I can, then shampoo and condition as usual. My hair bounces back perfectly every time. The baking soda does not dry out my hair, or irritate my skin or scalp. I hope that works for you. Congrats on your new workout regimen too! Happy New Year Beth! Good to know! I was fearful of using the baking soda on my hair. Most recommended the baking soda/vinegar method and that sounded super harsh. I’ll have to try it plain next time I have buildup—which will hopefully be never. LOL!